Over one hour during the vernissage of the groupshow Kapitel 3: der Raum, I was underneath the floor of the exhibitionspace Kaskadenkondensator, which has a really speacial floor with a very small space underneath. 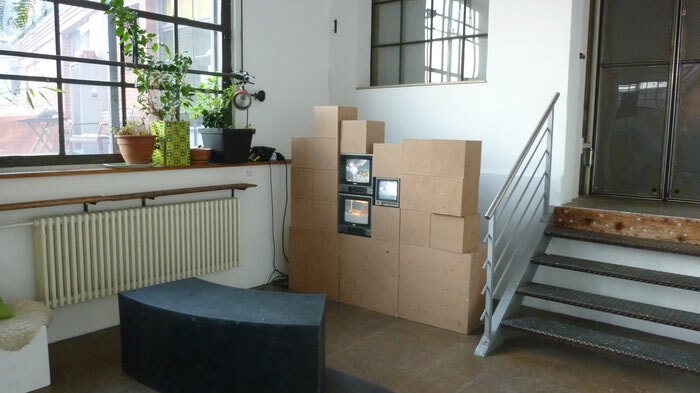 I installed 3 kameras in the space where I was and they had been connected to 3 monitors in the exhibition space. 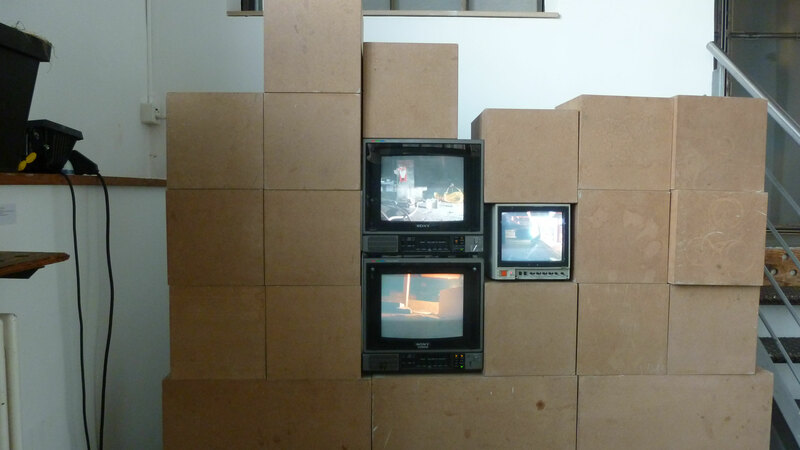 I also recorded this performance and showed it, like on the vernissage, over the 3 monitors. You could see me crawling around in this little space collecting things I found, communicating with people above me in the space, showing things with the cameras from this special space.